You’re probably aware that excessive consumption of alcohol has a dehydrating effect onÂ our skin and is notÂ very healthy beauty-wise.Â But what about alcohol-based skincare products?Â Are products that contain alcohol definitely bad for our skin and therefore we should only use alcohol-free only products? ManyÂ will swear off products containing alcohol because they associate it with the beverage and hence with harshness, irritation and dryness.Â Â However, the noun alcohol is part of a large and diverse family, with different names and a variety of effects on the skin.Â While some alcohol can be irritatingÂ or drying to the skin and hair,Â some areÂ actually good for the skin by helping deliver emollient benefits.Â These are called fatty alcohol which function more like emulsifier or thickener such as cetyl alcohol derived from vegetable oil, lanolin alcohol from sheep wool oils plus others like stearyl alcohol or cetearyl alcohol. The alcohol to be concerned about in skincare products are denatured alcohol, ethyl alcohol, ethanol, methanol, benzyl alcohol, isopropyl and SD alcohol 40, which dissolve and destroyÂ our skin’s natural moisturizers as well asÂ pH balance.Â At the same time, they tend toÂ absorb water fromÂ our skin which inadvertently dries us upÂ and speed up the wrinkling process.Â Â Very muchÂ similar toÂ the effects when we consume too much alcoholic drinks. 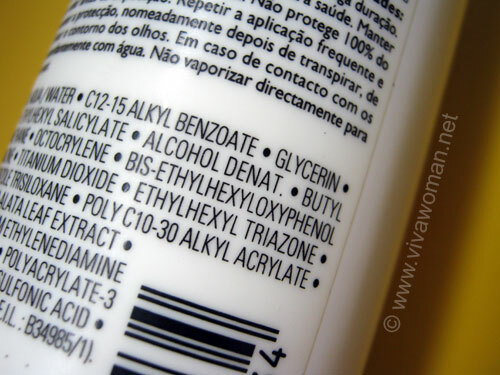 So when youÂ read on a label that a product is â€œalcohol-freeâ€, it really means that the product does not contain ethyl alcoholÂ (aka SD alcohol or alchohol denat if it has been specially denatured).Â Â But that same product may contain fatty alcohol, which have much different effects on skin and do not inherently possess negative attributes. Why can’t organic skin care be alcohol-free? Organic alcohol denat in organic skin care? Skin sins: smoking, alcohol & caffeine Do alcohol in sunscreen cause photosensitivity? Tine: I use an alcohol one myself in the evening. 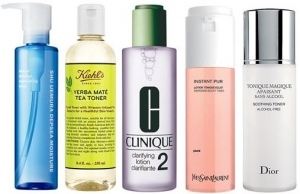 For pple with oily skin, alcohol toners actually work better. This is really a concise and well-summarized post of the alcohol issue in skincare! I have oily skin but my skin is also sensitive and reacts negatively to alcohol (the kinds of alcohol you mentioned, of course), so all my toners and moisturizers are alcohol-free. I also try to tell my friends that those kinds of alcohol are potential irritants and have no long-term benefits to the skin. Hopefully, posts like yours can help more of us make informed decisions!